Hi everyone! 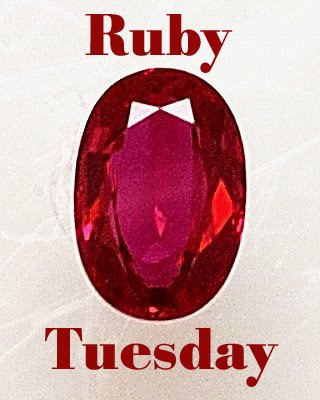 It's Ruby Tuesday once again! Doesn't Tuesday roll around real fast? 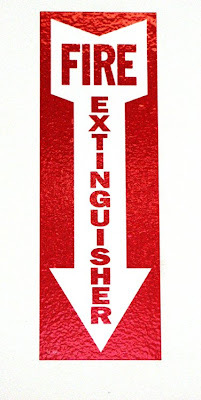 The sign and the actual fire extinguisher were on the wall in a building I visited a few days ago. I guess the sign was there in case you didn't know what that thingamagiggy below was. Ha! Don't forget to post your Ruby Tuesday meme on your blog and then come here to sign in to Mr. Linky! I'm glad you put the sign up so I would know what that was! hehehe. Mine will be up early tomorrow morning. I'm not participating (yet). Just wanted to see what you're up to, Mary. These are great. God bless. Nice setup with the pictures. Happy Ruby Tuesday. Love the photo of the sign! The texture is what makes that a great shot, in my opinion. Happy Ruby Tuesday. Mine is up celebrating the 4th early. I was finally able to snap a few red ones a participate. Hope to make you proud. Have a great Tuesday, Mary! Love the fire extinguisher! My post tries to create a bit of fire/warmth! I went a bit crazy this week! 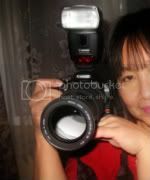 I just posted my first Ruby Tuesday. Hope I linked correctly. I was having technical difficulties. Um... I just checked and it linked to my previous post from Monday and I cannot undo it. Can you delete that for me? Ha! Tuesday really does roll around fast these days. Great choice for ruby this week, especially for the hot days of summer!! I finally made it Mary. It's not the red I'd like; but I really did want to participate this week. I'm looking already for next week. With the holiday this weekend it should be a piece of cake! Forgot to say yours is great! I use to own 3 of these thingamagiggies. I didn't have any signs for them, though! How important is to have these extinguishers in our homes, and don't forget to turn yours upside down a few times about every six months and shake up the contents. Was that in Brooklyn? Cause ya know we need special instructions. lets try it out and make sure it works.. I am so glad to be participating in my first Ruby Tuesday! What a great prompt idea. I went with a patriotic theme over at MPP. Im looking forward to checking out everyone's on the list! Another entry in my comfort zone. :-) one of our comforts...Kid McDo! 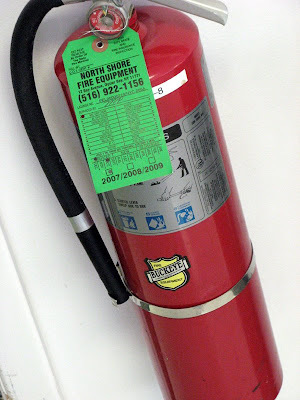 Great photo of the fire extinguisher this week! Neato! I am glad to join but don't know what I am supoosed to post? These are beautiful reds! Happy Tuesday! We have those all over our building. Part of living in a high rise! Just one person in the past must have said "I didn't see it" for this to become necessary LOL! PS: I sent you an email Mary. Do let me know if you don't receive it ok! Sometimes spammmmmmm is overzealous LOL. I know, I can't believe how it's tuesday once again! happy ruby tuesday!